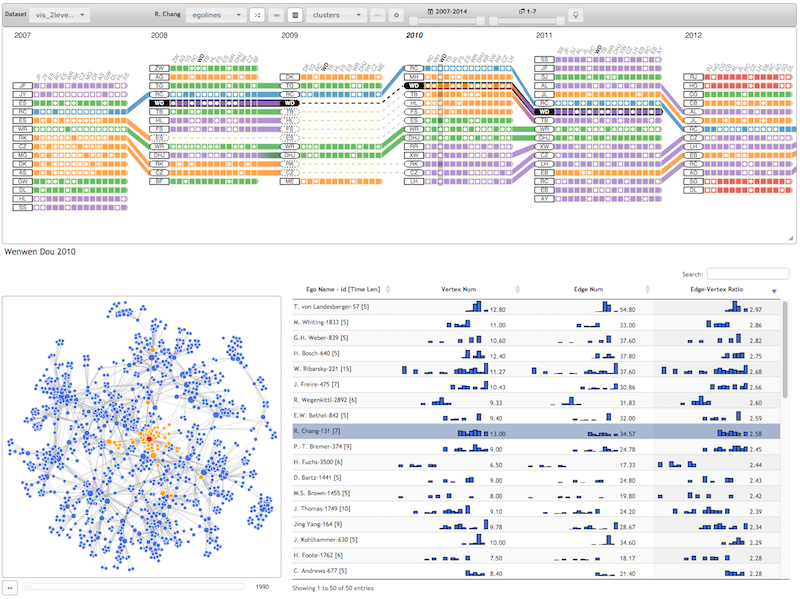 Experiencing the full interface of EgoLines with an example dataset. The data contains a subset of dynamic ego-networks extracted from the co-authorship network of publications at ACM CHI and IEEE VIS (InfoVis, VAST, and SciVis) conferences in 1985-2014 (the data may be incomplete). Uploading your own dataset of one dynamic ego-network and exploring it with EgoLines. This version is more general and updated.